UTZ is a label and program for sustainable farming worldwide. Our mission is to make sustainable farming the norm. Sustainable farming helps farmers, workers and their families to take better care of their environment and future generations. The position will be part of the Asia Pacific Regional team. He/she will be responsible for providing administrative and finance support for UTZ Indonesia operations. The Finance and Admin Officer reports to the UTZ Country Representative Indonesia, and is based in Bali, Indonesia with occasional domestic travel; plus travel in the region and Amsterdam. 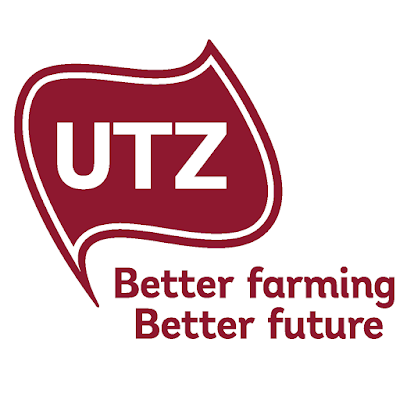 We are looking for a proactive and responsible team player to fit into the international UTZ culture of high professional standards and working together on making agricultural practices more sustainable. Ensure that all settlements are submitted on timely manner and are accurate. Responsible for the petty cash management and reimbursement of approved expenditures of staff. Recording of all daily financial transactions (cash and bank report) from the incoming and outgoing receipts into the financial records, including petty cash. Regular monitoring and provide overview on the budget expenditure based on annual workplan. Assist in the preparation of travel for staff on approved official trips. Contribute to improvement of accounting and administrative systems and processes. Indonesia National with good knowledge of, and experience in administration & finance. Bachelor degree, preferably in accounting or finance. Minimum five years of finance/accounting and administrative experience. Ability to prepare clear and concise reports and to analyse and interpret source information and data. Good knowledge of MS office, specifically EXCEL. Good communication skills, personal commitment, efficiency, flexibility, drives for results, respect for diversity and creative thinking. We intend to offer a 1 year contract (40 hours/week) with the possibility to extend. UTZ provides a dynamic and international working environment with an entrepreneurial and innovative approach. UTZ is an equal opportunity employer. Starting date of the assignment is foreseen as soon as possible. Please send your application before the 30th of November 2017 (1-page letter and 2-page CV, including references) in English to: rdtroc@utz.org mentioning Finance and Admin Officer Indonesia and your name in the subject line.